I know Brock Lesnar defied the odds and retained his WWE Universal Championship at SummerSlam 2017. 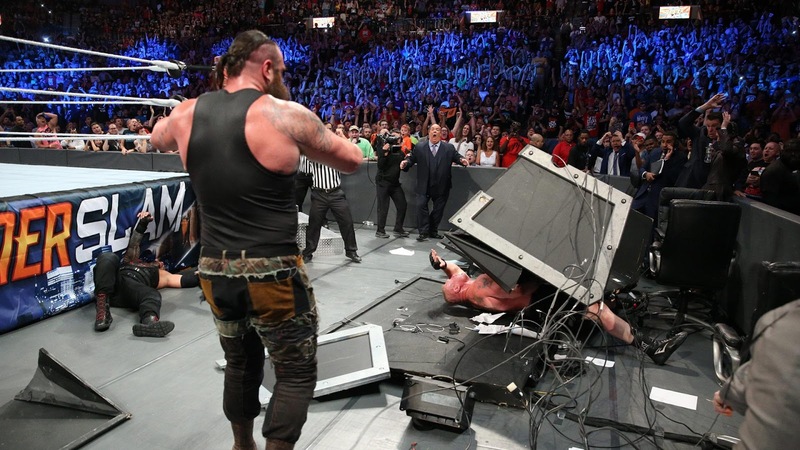 But the post-show buzz is all about Braun Strowman, which really doesn't surprise me. He is one character I didn't give two sh!ts about in his Wyatt Family days, and even when he made the move to Raw I was still less than impressed. But then something clicked and I've become a fan. Once again he has proven he's earned a spot in the main event. From his destroying of Roman Reigns repeatedly on Raw to the destruction of Lesnar at SummerSlam, Braun is the real deal. 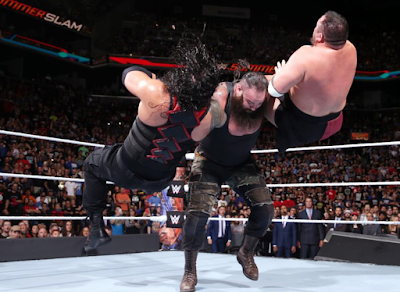 I'd love to see WWE hold off on a battle of the beasts one on one for WrestleMania, but the rumor is churning that Strowman will be the next contender to Lesnar. Because Reigns took the fall at SummerSlam, I'd assume he's the heir apparent to the Universal Championship. Again, this is an assumption and plans can change and I really hope they do. 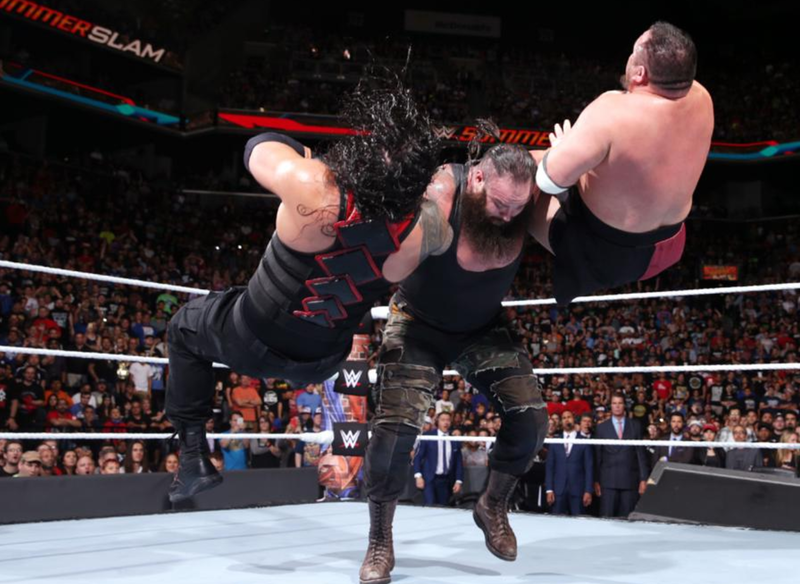 Going with that line of thinking, perhaps the feud between Strowman and Reigns resumes after WrestleMania. Again this is assuming they're holding off until April for the next title switch. In my 1-2-3 cents that transaction could have happened last night. But I knew with the stipulation of quitting WWE if that happened, Brock would retain. I will say whoever the chosen one eventually becomes, they'll get one hell of a rub when they win the championship. 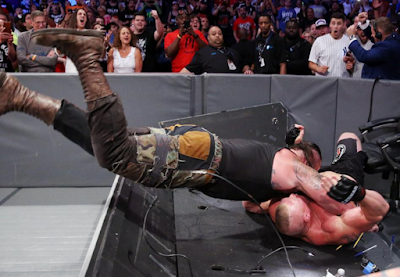 Unlike Seth Rollins in 2015 though the new champion needs to pin or force Lesnar to tap out. Not only does the belt need to be passed, but also the torch. Right now I'd rather that be Samoa Joe, with Braun Strowman a close second. That's something I never thought I'd say.